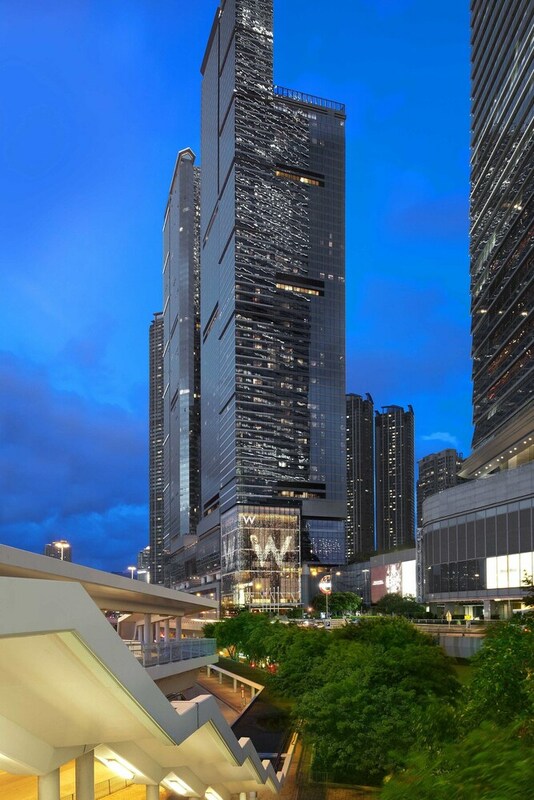 This family-friendly Kowloon hotel is located in a shopping district, steps from International Commerce Centre, Victoria Harbour, and Sky 100. The Peak Tram and Hong Kong Observatory are also within 6 mi (10 km). 2 restaurants, an outdoor pool, and a 24-hour fitness center are available at this smoke-free hotel. WiFi in public areas is free. Additionally, a bar/lounge, a poolside bar, and a sauna are onsite. All 393 rooms feature thoughtful touches like bathrobes and slippers, plus free WiFi, free wired Internet, and LED TVs with cable channels. Guests will also find 24-hour room service, DVD players, and minibars. In addition to an outdoor pool, W Hong Kong provides a sauna and a 24-hour fitness center. Dining is available at one of the hotel's 2 restaurants. Guests can unwind with a drink at one of the hotel's bars, which include a poolside bar and a bar/lounge. Wired and wireless Internet access is complimentary. Business-related amenities at this 5-star property consist of a business center and limo/town car service. This luxury hotel also offers spa services, tour/ticket assistance, and an arcade/game room. W Hong Kong is a smoke-free property. Sing Yin Cantonese Dining - This restaurant serves lunch and dinner. Kitchen - This restaurant serves breakfast, lunch, and dinner. WOOBAR - This cocktail bar serves light fare only.